We offer an extensive inventory of trading software. This software can be used in many different aspects of your trading from beginner to pro and offers an array of options for each style of trader. These software options include automated trading system, day trading indicators, emini trading systems, and ninjatrader indicators to fulfill your trading needs and put you on the path to success. We provide a live training room where all software is covered for an optimal learning experience. It is our goal to provide the best trading strategy! In finance, technical analysis is a method of evaluating securities by analyzing statistics and studying the past market data for forcasting the direction of prices. Technical analysis is widely used among traders and financial professionals. It is commonly used by day/swing/position traders, market makers, and pit traders. By studying a securities price history, you are able to predict potential future relations in price. Technicians use many methods of technical analysis & tools to determine price action. 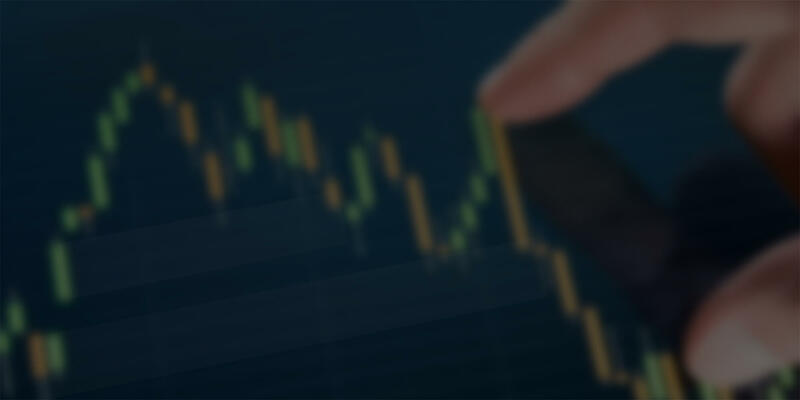 Price patterns are very commonly used such as head & shoulders, and double top/bottom reversal patterns.More obscure patterns such as bull/bear flag, pennant, and cup & handle are also often used.Other tools include indicators such as RSI, MACD, Stochastic, Bollinger Bands, and lines of support & resistance. There are many different approaches to using technical analysis. Many traders use a combination of elements from more than one technique. Some use subjective judgment to determine and interpret patterns within a particular instrument, while others use a strict mathematical or systematic approach. Some will use a combination of both. Technical analysis is very different from fundamental analysis. While technical analysts use charts, patterns, and tools to do their research; fundamental analysts focus more on examining earnings, dividends, reports, and other facts. Technical analysis holds that prices already reflect all such trends before investors are aware of them. Here at Pure Financial Academy we focus on the Supply and Demand of price action. This allows us to remain in front of the markets and gives us the ability to know where price is most likely to turn before it actually happens. As a trader, this is key to finding success. We combine certain elements of technical analysis to locate the highest probability areas for supply or demand to take place. Using our methods you will be well prepared for each and every day of trading and have the ability to trade price action in any direction. Defined entries and exits should be a major part of your trading plan. This is where you will enter your position either long or short. Every time you enter into a trade, there should be a set of rules based on where you enter and exit your position. Setting guidelines will help you with setting exact price points. How you calculate entry and exit points will be based on many factors such as price action, supply and demand levels, trend direction, market structure and other trading tools. Often traders will use a combination of many technical analysis tools and techniques to form their entry and exit points. These points are all based on technical analysis and should be consistent with your trading style. Before entering into any given trade, these price points should be decided upon and traded accordingly. Our methods are absolute. We teach you how to define exact entry and exit points using institutional order flow combined with supply and demand levels. This will give you the ability to calculate your profit and loss for every trade, and leaves no room for question. Please note, our PFA Zoning MTF software will plot each price point automatically including entry, stop, and three targets. In all aspects of life including and especially finance, emotions can play an enormous role. They can lead to erratic behavior and ultimately cause you to place unsuccessful trades. Emotion is always going to be a part of life, however the key to successful trading is not attempting to completely remove emotion, but to control it. As humans we have certain tendencies to be impulsive and compulsive. It is part of our personalities and who we are, therefore trying to completely remove this would be detrimental to ourselves. In order to control this you must understand and accept that this is a part of your mental state. Once you have accepted it, you can learn to control it. Controlling your mental state when trading is based on your trading plan. Having a set of guidelines gives you the ability to make decisions without emotion. There are multiple techniques that will assist you in controlling the emotion. These techniques should be applied consistently and to each trade. You will learn several techniques and have the opportunity to apply them during trading. In the financial world, there are many obstacles to overcome. Having a mentor can cut your learning curve dramatically. A mentor can help guide you to a successful career. With our help as your coach/ mentor you will learn how to utilize discipline, risk management, and a certain set of skills that professional traders use to capitalize in the markets. Many things can be learned from reading a book or articles, but there is nothing that can compare to real-time learning. We teach you in live markets not only the skills needed to make consistent money, but how to put it into action. You are able to follow along and see trades placed while understanding the reasoning behind each trade. As your coach/mentor we will be there with you every step of the way. During class schedules you will have ample time to ask questions and follow along. It is highly recommended to ask as many questions as possible. We go above and beyond, making ourselves available to you even outside of class times via email, phone, online chats etc. This helps us to ensure that you are not at all confused even during your own personal time trading. We believe that to be a great mentor, we must understand your trading personality and adapt to it. Our goal is to help you achieve financial freedom. Developing a trading plan is extremely crucial to a successful trading career. It is your ultimate guide to creating a winning trading strategy. It is a systematic method, used for determining the amount of risk that is or should be taken, and formulating short and long-term investment objectives. There are many factors that go into a trading plan. Some of which are, what instrument you will be trading, trading style, position size, risk tolerance, defined entry, defined exit/ target, confirmations, which tools will be utilized etc. Once complete your trading plan should be very simplistic. The more complex the plan is, the more difficult it will be to follow it. Trading plans can always be updated, and should always be followed. By having a plan and following it, you are controling the emotional aspect in trading. Traders are known to evolve their trading skills over time and your plan should evolve with you. If you decide to update or alter your plan in any way, back testing and research should be done prior to. The trading plan will be your guidelines for every trade; therefore any changes made must be followed. Just like people, usually no two trading plans are the exact same. We will help you determine what best fits your needs so you have your complete road map to success. Risk Management is the identification, assessment, and prioritization of risks followed by coordinated application of resources to minimize, monitor, and control the probability or impact of unfortunate events.Each trader will typically have a different risk tolerance. Setting rules on how much risk should go into each trade is another crucial part of your trading plan. In finance, stop orders are a very common way to manage and control your risk. Other factors of risk management include position size, instrument being traded, leverage, time exposure, and many more. The amount of risk one can withstand should be based on a percentage of their capital. This allows for account preservation. When combined with technical analysis, risk management and other factors of trading start to form statistics based on the account it is being applied to. The amount of risk assessed, and the amount of times that risk is violated equals the win to lose ratio. Having a small risk and a large gain will allow for longevity and account growth. Without risk management the probability of success decreases dramatically. Our trading methods give you small risks for each trade. We believe there is no reason to put your hard earned money at risk when you can minimize it greatly. We have designed our trading rules to put each trader into the highest probability trades with the lowest amount of risk. There are an enormous amount of traders who fail to make a consistent flow of income in the markets. This can be due to many factors, however the most common one is because they don’t have a defined set of rules to follow. Rule based trading is a systematic approach to managing trades and leaves nothing to question. When entering into any market, there are certain things that must be taken into consideration. You must have a system in place to recognize each and every aspect of your given trade. Because of your rules, you will know each part of the trade before it ever occurs including but not limited to your entry, exit (s), time frame, risk etc. Not only does this allow for preparation, but it also helps you to control emotion. Our education is entirely rule based. You will learn how to trade consistently with a set of guidelines and strictly adhere to them. We will help guide you through the entire process, including helping you set rules based on your individual personality.